Thank you to Gevalia and Safeway for sponsoring this post. 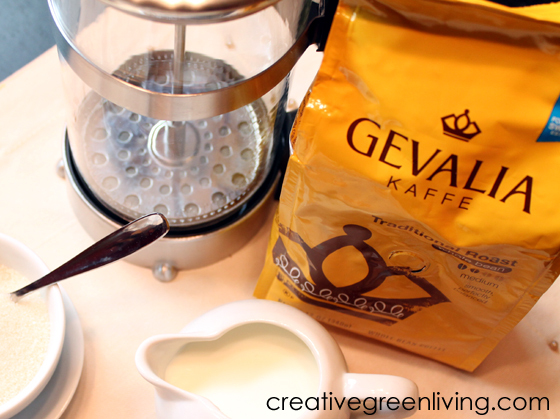 Visit the Safeway website for more information about Gevalia and "Like" Gevalia on Facebook. 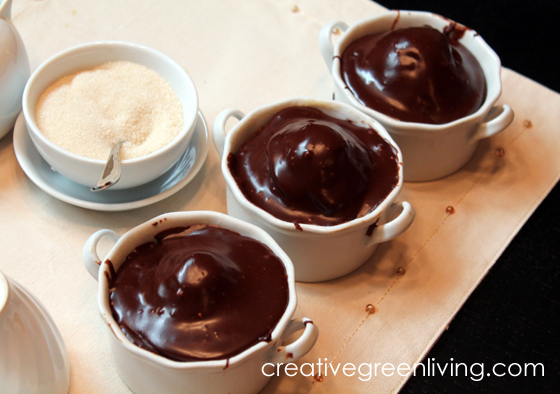 When I recently had a mommy coffee playdate at my house, I made the coffee in a french press for the best flavor to go great with the tasty chocolate cakes I made. 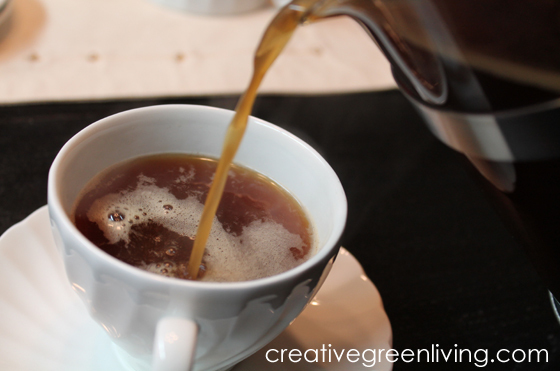 It might seem intimdating if you're used to drip coffee, but preparing a french press is really easy and great way to get a full-bodied delicious cup of coffee. 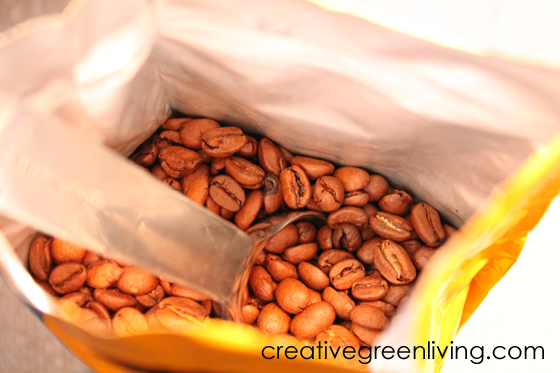 It seems like a no-brainer but the truth is that poor quality coffee beans make poor quality coffee. For great coffee, use high quality beans. I used Gevalia Traditional Roast that I picked up at my local Safeway. Measure out 2 Tablespoons of beans for every 6 ounces of water that your french press holds and add them to your grinder. 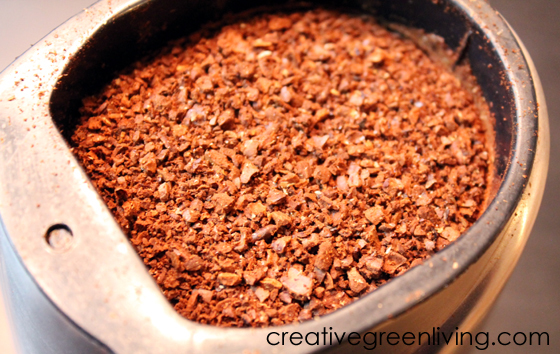 Set your burr grinder to its coarsest setting and grind. If you have a blade grinder like we do, grind for about 4 seconds to have a coarse, chunky grind. 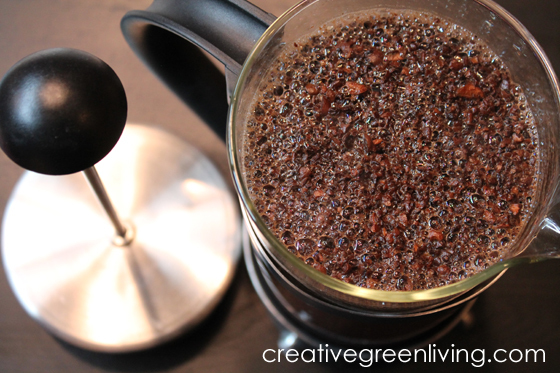 Remove lid and plunger and add ground coffee to the bottom of the french press carafe. Heat water on the stove until just shy of boiling. Pour over the grounds in the french press and set a timer for five minutes. When the timer goes off, put the lid on the press and press the plunger down to stop the brewing process. Pour your coffee and add your favorite condiments. I love organic sugar and whole milk in mine. Of course coffee is always more enjoyable with friends. 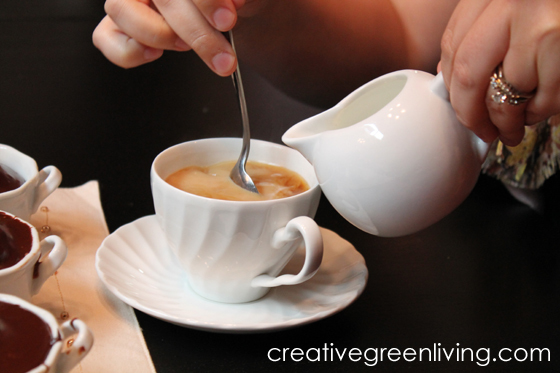 Coffee is great any time but especially great with friends. I was lucky to have two of my favorite mommy friends come over with their kids for a mommy playdate. The kids played in the living room and we sipped coffee and at delicious organic chocolate cake with homemade frosting (yum!) - the ingredients were, of course, from Safeway - and so were the cute little ramekins they're in. Thanks for this! 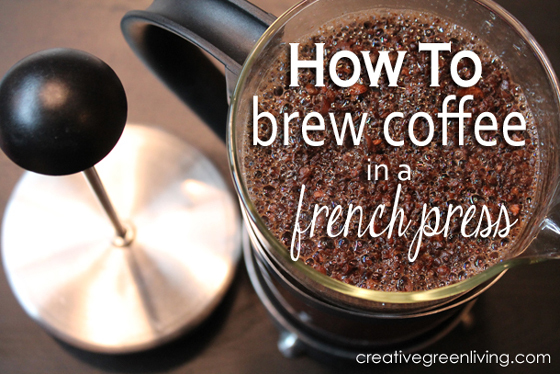 I never knew how to work a french press (shhh). Lovely everything on this post. Pinned! I just bought one this last weekend, I read somewhere too use it for an overnight cold brew to me make yummy iced coffee. Can wait to try it! I LOVE french press coffee. This looks aesome! Mmm those cakes look so good. And I love my french press! I haven't tested any with Tamara and I didn't see the results for any on her website. I suspect that because many home coffee grinders are too small to fit the XRF inside, they would be hard to test without dismantling.